A career in welding can open itself up to some of the most varied and interesting jobs these days. Some welders go on to repair the structure of an oil derrick 50 feet below the surface, others help construct space shuttles, and still others assist in the construction of the world’s tallest buildings. Yet, welders can find work in even more unconventional settings. Those with a passion for a good bottle of suds can use their vocational training from Tulsa Welding School to work as contractors with brewing companies that distribute anywhere from a few thousand to a few million cases of beer per year. 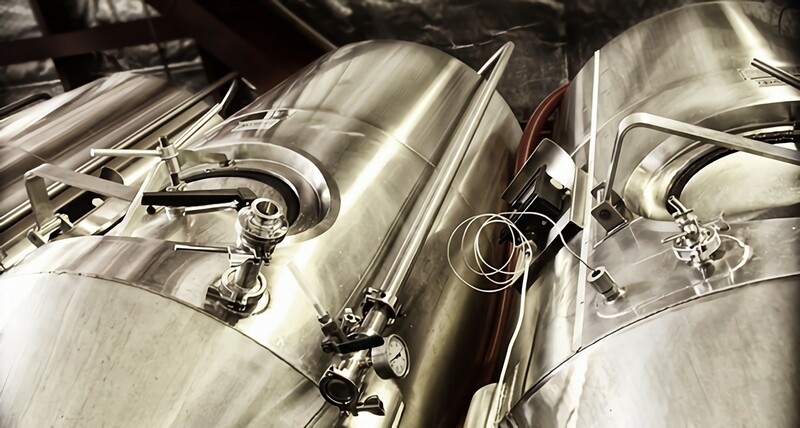 Let’s take a look at welding in the brewing industry. Few artisanal businesses in the U.S. are more popular at the moment than craft breweries. Craft beer production increased by 9.6 percent, while overall beer production actually dropped 1.2 percent, in 2013. The Brewer’s Association reports that 1.2 new craft breweries are opening per day, meaning that there is one new brewery for every two new restaurants that open annually. Particularly microbreweries are on the rise. While the number of craft breweries and microbreweries are growing across the country, welders are needed to build especially larger-capacity equipment. This may include, for instance, brew kettle, mash tun, platform and process piping. However, the American Welding Society reports that skilled welders have recently been in short supply, with a labor shortage of approximately 200,000 welders in 2010. As the gap between new breweries and skilled welders widens each day, those who have completed welding classes and have some relevant work experience may face a good chance of finding employment in the flourishing craft beer industry. One of the biggest success stories in brewing and welding is the expansion of the New Belgium brewery on the East Coast. When the craft brewery decided to break ground in North Carolina and extend their reach up and down the eastern seaboard, they needed a comprehensive team of experienced welders to set up the holding tanks for their beer prior to the bottling process. A single New Belgium tank will hold up to 55,000 gallons of beer, or about 50 lifetimes’ worth of beer for the average American. New Belgium purchased their equipment in Germany and then transported it to the U.S. Their crew of welders assembled a series of eight of these tanks in order to hold beer for fermentation and distribution, and continued to maintain the tanks to keep adequate heat and pressure for a perfect batch. They’re not the only craft brewery expanding: Michigan-based Founders Brewery is investing $35 million in a city-block sized project, requiring welders to construct tanks that will hold nearly one million more gallons of beer per year. There are plenty of examples of welders working as independent contractors or for companies in the brewing industry. One such example is the independent company Metalcraft Fabrication, which delivers tanks to domestic and international brewers, including customers as far away as Norway. The company prides itself on delivering unique beer tanks carrying anywhere between ten and four hundred kegs’ worth of suds. The same is true of the Crawford Company, which decided in 2012 to become a national welding company supplying beer tanks in sizes ranging from 7 to 30 barrels. Furthermore, Pilchuck Mechanical won the bid to provide Seattle-based Ranier Draft Beer with no less than six thousand feet of piping systems needed for cold-filtered brewing, which must be especially smooth and free of crevices to prevent bacteria from growing and spoiling the beer. No matter where you live in the country, those who want to turn a passion for barley pop into a career will have plenty of opportunities to do so as soon as they complete their training from welding school.